Ok, I have a possible problem. I will start at the begginning. So in late September, I got one golf ball sized and one quarter sized purple pinchers. They both mooted when I got them. They both took about a month. So then, my quarter sized one escaped for about two weeks. We found and he was alive and appeared to be perfectly healthy. He was up about two or three weeks and then went down again. At first I was sure he escaped again, but then a few days later I saw him make a little window against the glass. It has been about a month and a half since he went down. Should I be concerned. The bigger one has been down about a month. I am not really worried about him because he isn't able to escape like the smaller one. Oh and just to clarify i did escape proof the tank. I find it weird how they go underground/surface week by week and not day by day. Do you have a camera? Perhaps he comes up when you're asleep and is destressing for a long time. What's your substrate and heating like? Does he seem energetic? I have six inch substrate(eco earth and play sand) and the tank is at 80 degrees right now. When they ate up, they wre very energetic. Most likely they may be moulting or just chilling. It could also be that they are coming back up when you're asleep and then going back down again. Regardless, I wouldn't worry. 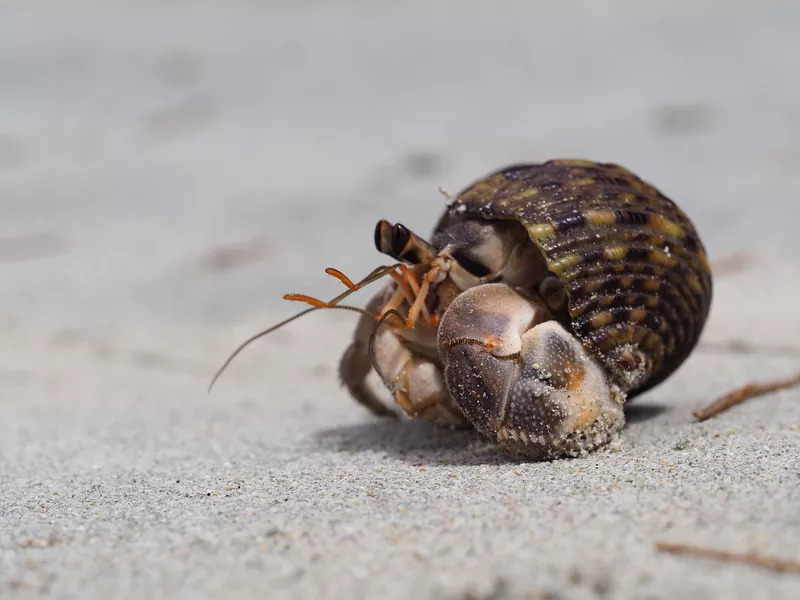 It's pretty normal for crabs to dig down, and be there for any length of time. I agree with Aussie, don't worry! They can be tricky like that.